In October, a new Court decision was published in Argentina. The Court of Appeal reviewed a previous decision at a lower instance of the Argentine Federal Appeal Chamber, by which the defendant was ordered to pay damages for a trade mark infringement of US$55,000. Although the lower instance decision ordered a much higher amount (US$165,000), what is important is that the Court of Appeal appears to be more comfortable ordering damages as if they would be punitive damages. The plaintiff was Adidas AG while the defendant was Juan Carlos Chilemi SRL. 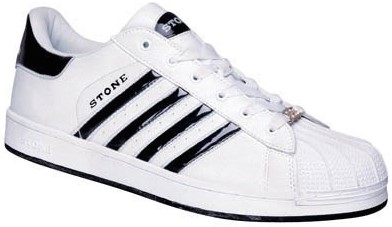 The mark in dispute was applied to sport shoes, clearly resembling the famous Adidas three stripes (see images). 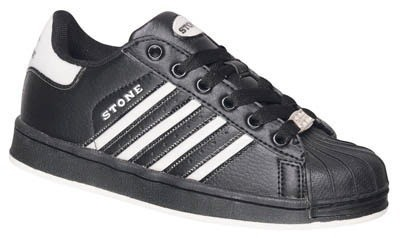 The defendant argued that he did not use the three stripes mark but used four stripes instead, which was something different that could not confuse consumers. The Court held the marks were confusingly similar and therefore analysed the petition made by Adidas AG on damages, based on the total sales of all products made by the defendant. The Court of Appeal not only admitted that there was no proof of any loss by Adidas AG but also no proof of the benefits made by the defendant by its infringement. No such hint could be found in the total sales made by the defendant in the period in question (US$2,277,777). The Court of Appeal admitted that in the total sales, other models of shoes were sold with no stripes and that no proof was submitted regarding the quantities sold of the infringing model. Therefore, strictly following our laws, there would be no ground to award damages based on the sole proof of an infringement since there was no proof of damages nor any proof of benefits. The existence of an infringement. Made with fraud or fault. Causing proved loss or damage. No damages can be awarded based on benefits attained by the infringer under our Civil Code regarding IP. There is no ruling that would authorise damages if you cannot prove that damage. Damage cannot be inferred; it has to be proved. If someone infringes your rights, you can ask for a cease-and-desist order to stop the infringement, but to be awarded damages you need to prove not only that the infringement was the cause of a loss in your profit and goodwill but the loss in itself, other than the violation of your rights which is not a damage. There is only one exception in our laws in the Civil Procedure Code: it authorises the granting of damages if the damages are proven to have occurred but are difficult to determine. Again, this damage referred to by the law is not a violation of a right, but a damage in itself caused by the violation of the right. It is under this exception that our judges have built the fundamentals to grant IP damages assuming that every time a trade mark right is infringed, there is damage, which of course is not what the law says. Damage has to exist and cannot be inferred. This is why our Court of Appeal until the 1980s would refuse to accept claims for damages unless there were a clear proof of them. Of course, this interpretation encouraged infringers, who knew their only risk would be a cease-and-desist order together with the payment of professional fees. Criminal law, although it covers piracy in Argentina, is not easy nor common to be applied. By making this new interpretation, the judges knew that they went far ahead of what the law provided for, and therefore, for years, the decisions that did in fact award payment of damages never did so in amounts that would render piracy a bad business for the infringer. As we see, this is slowly improving although these decisions would not be under a strict interpretation of the law, but they are fair. This fairness, in our opinion, could also be sustained under the punitive damage theory. Punitive damages were admitted under consumer protection laws to discourage certain practices in commerce. Analogously, IP judges would be seeking, by awarding large damages, to discourage piracy. Of course, a law on punitive damages in IP or the admission of analogy would definitely close the gap between legality and fairness, and it would be an excellent tool to discourage piracy, but it is not reality for the moment. In the meantime, our Court decisions are interpreting the way towards this goal and we only hope they will gain enough confidence to continue their way in doing so.